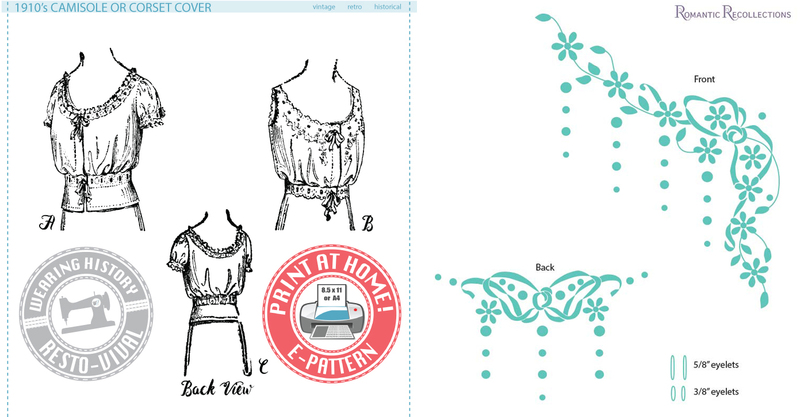 Home » pattern line » New Pattern!! 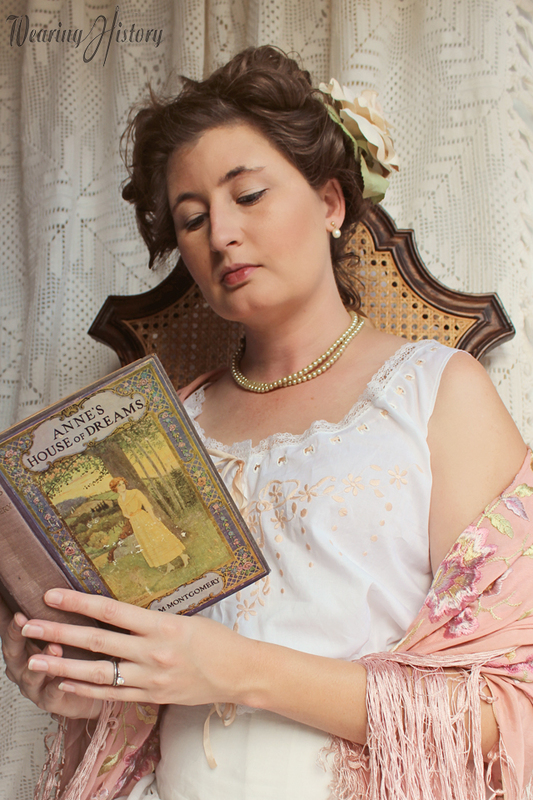 1910s Camisole or Corset Cover AND Embroidery! New Pattern!! 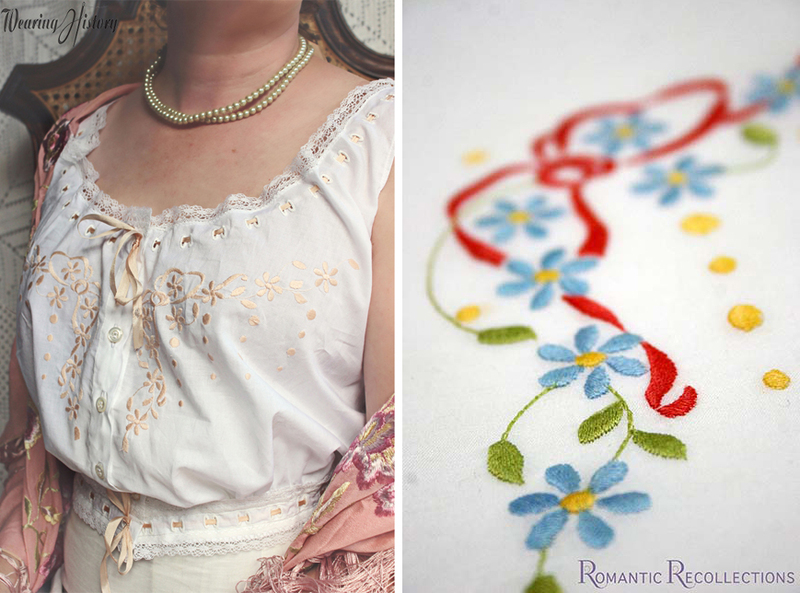 1910s Camisole or Corset Cover AND Embroidery! Romantic Recollections and I have been working on this exciting release for months, and it’s finally time to release it! This pattern has some fun options. 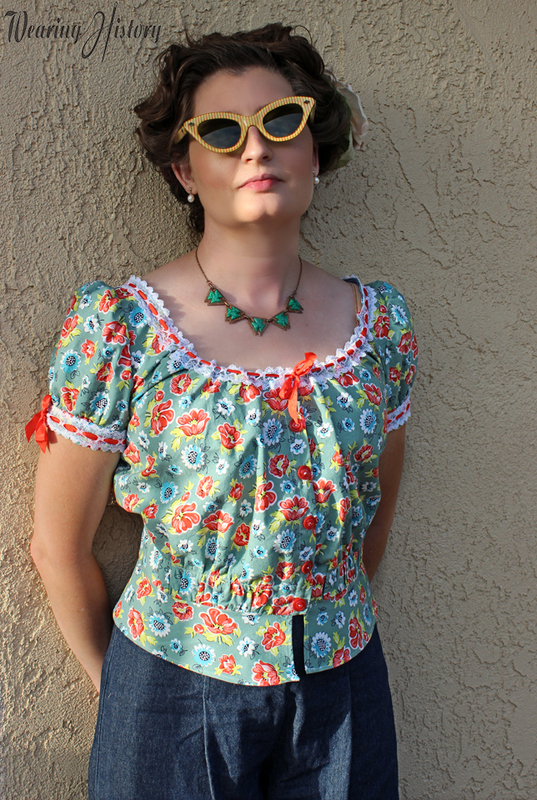 You can make it sleeveless or with sleeves and cuffs, stop at the waist, or add a peplum. Mix and match the features how you want them! This Wearing History Resto-Vival pattern is a Restored and Revived copy of a period 1910s pattern that has been multisided to include the original size range of a 32″-48″ bust. It includes the original minimal instructions, but I’ve also supplemented a few pages of my added instructions, instructions from period sewing books, an image from a 1910s catalog showing what ones of the past would have looked like, and a page giving you suggestions on where to watch for fit concerns. Most information is text only, and you should be able to assemble a basic garment with limited instruction to attempt this pattern. But that said, all my aids will be of much more help than just relying on the original instructions of the period! Plus, I made my first sewing tutorial video to help you attach your waistband! If you want to take it a step farther, you can buy the pattern pack which includes machine embroidery patterns by Romantic Recollections! If you don’t have an embroidery machine, don’t worry because you can buy the pattern by itself and embellish as you see fit. Hope you love the new pattern!! 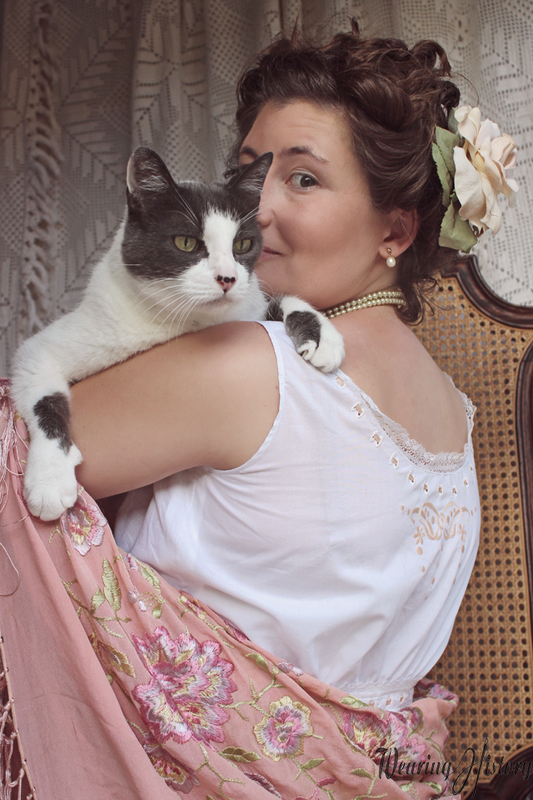 You can buy the printed pattern here. The e-pattern and machine embroidery bundle here. July 23, 2015 | Comments Off on New Pattern!! 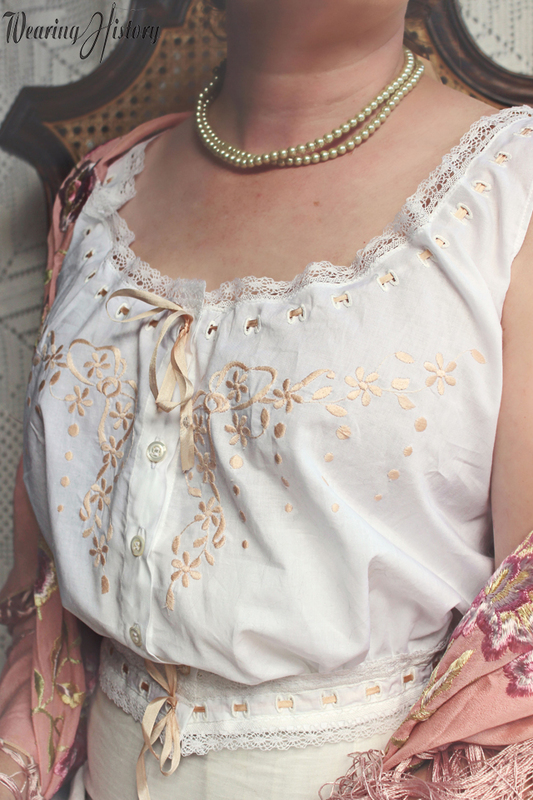 1910s Camisole or Corset Cover AND Embroidery!